September 5, 2015. We are happy to report that the new Ugandan school semester for both our primary and high school students begins on September 7th. 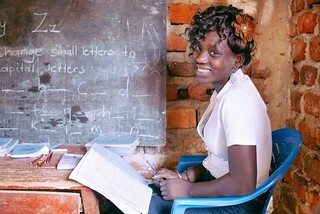 After a month-long holiday break, our teachers and students are eager to return to the empowering pursuit of education. We have 214 students (ages 5-11) enrolled in our rural primary school this year — they will be learning math, English, science, social studies, reading, writing, and the art of handcraft. We have 167 students (ages 12-18) enrolled in our high school — they will be learning English, math, geography, history, agriculture, physics, chemistry, fine art, biology, politics, commerce, and entrepreneurship.